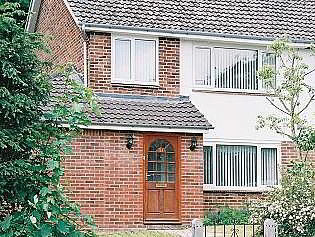 A warm and friendly welcome awaits you when you visit our attractive family home. Ideally located in the once royal seat of Winchester. Queens Road is situated close to the City Centre and the beautiful countryside and is convenient for the many attractions in the area. It takes just 10 - 15 mins to walk into the centre and there is also a frequent bus service for those without a car. We can provide on and off road parking for guests with cars. Southampton Airport is only 20 minutes away. 31 Queens Road provides quality accommodation in a small intimate setting. It is our goal to always provide you with a warm welcome and to make your stay an enjoyable experience. We offer a variety of accommodation in a family home setting in the Winchester area that we hope you will agree represents the very best in Hampshire hospitality and aim to provide a ’HOME FROM HOME’ for the discerning visitor to Winchester. We will try to ensure your stay is as relaxing as possible. If there is anything that would make your stay more enjoyable please do not hesitate to ask. We may not always be able to help but w will certainly try our best! Self-Service 'Continental Style' Fayre is available in the Breakfast Room between 08:00 and 10:00 hrs. or a Breakfast Tray can be delivered to your room.